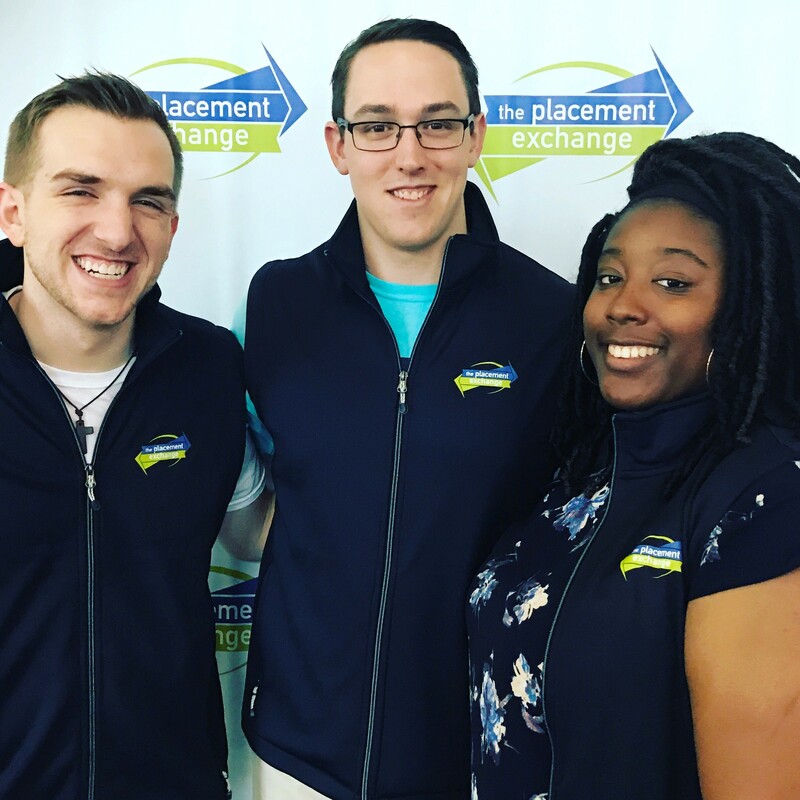 The Placement Exchange (TPE) Ambassadors represent the most engaged schools across the country, and from their ranks, several interns are selected to attend the TPE Onsite event for free and get a behind-the-scenes look at this amazing event. In the Ambassador role, graduate students from institutions are provided advanced information about TPE Onsite to assist their fellow students who are interested in attending the event. Selected Ambassadors work with The Placement Exchange in a variety of ways. Primarily, Ambassadors serve on campuses as the main communication conduit to their peers and faculty. They are given the most up-to-date information about all of the resources available within Student Affairs through The Placement Exchange in order to convey the information to their peers and other prospective candidates on campus. 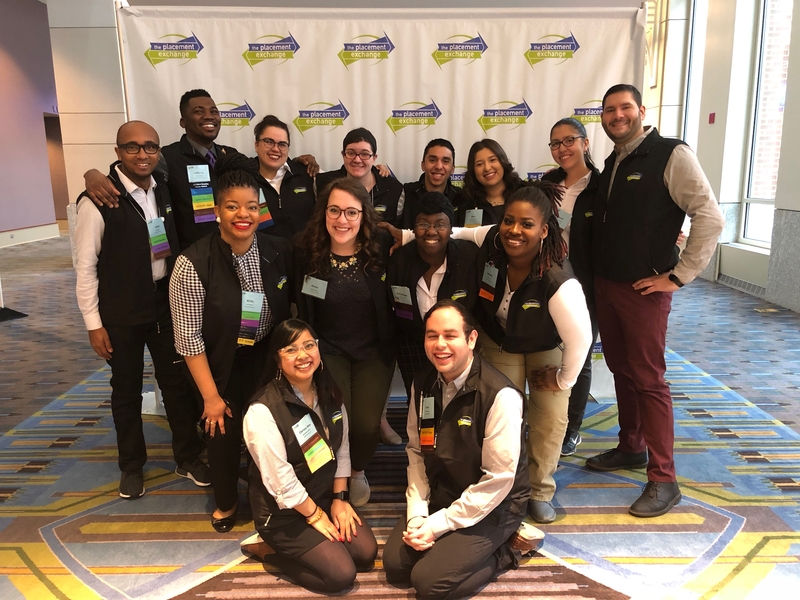 Another great opportunity for first-year (or non-graduating) TPE Ambassadors is the potential to serve as an intern at the annual Spring TPE Spring Onsite event. TPE interns will be selected from the current cohort of TPE Ambassadors. Selected interns receive lodging during the Spring TPE event, along with funding to cover travel and some meal costs. *NOTE: Only non-graduating TPE Ambassadors are eligible to serve as TPE interns in the spring. Ambassadors who plan on attending TPE as a candidate are not eligible to apply. The intern application will open later this fall. TPE Interns receive lodging during the onsite event, along with funding to cover travel and some meal costs. The Ambassadors work with The Placement Exchange in a variety of ways. Primarily, the Ambassadors serve as the main communication conduit on campuses with their peers and faculty. They are given the most up-to-date information about a variety of TPE resources for Student Affairs professionals to share with peers and other prospective candidates campus. In addition, Ambassadors implement different programs and workshops that assist prospective candidates with their Student Affairs job search. On-campus leadership role through planning and implementing programs to support TPE and to serve peers who are gearing up for the job search process. Increased awareness of job placement services. Networking opportunities with professionals in Student Affairs and Higher Education. Professional development via webinar and conference calls. An interest in serving the student affairs field and providing opportunities for peers. Provide a professional reference - either a Student Affairs practitioner or a faculty member from a Student Affairs/Higher Education graduate program. Attend Ambassador conference calls (October through May). Willingness to perform responsibilities below. Members of the Ambassador & potentially Intern subcommittee. Serve as an active participant within the TPE subcommittee. Contribute to TPE by performing stated "Community and Relationship Development Responsibilities" outlined below. Contract period is from October through May. Serve as a marketing "street team" on campus, distributing materials to peers. Attend and participate in Ambassador monthly and bi-monthly conference calls. Plan and implement three programs/workshops that promote TPE on your campus. Provide feedback to the TPE Coordinators of the Ambassador & Intern subcommittee. Ambassadors will be supervised by the Coordinators of the Ambassador & Intern subcommittee, Kirby R. Gibson. Another great opportunity that is only available to (non-graduating) TPE Ambassadors is the potential to serve as a TPE Intern at the spring TPE Onsite event. TPE Interns are selected from the current group of TPE Ambassadors. TPE Interns receive lodging during TPE Onsite, along with funding to cover travel and meal costs. NOTE: Ambassadors who plan on attending TPE as a candidate or are not eligible to apply for the Intern role. The intern application will open later in the fall. Questions about the TPE Ambassador program? Send a message to Kirby R. Gibson at ambassadors@theplacementexchange.org.